Cappella Antica in Redpath Hall. Photo by Tam Lan Truong. Participation: Entrance is by audition (see audition schedules). This ensemble is open to music students. 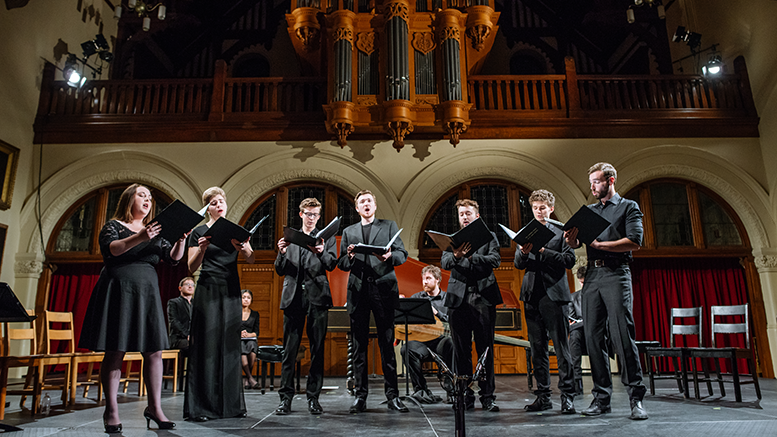 Cappella Antica is the flagship vocal ensemble of McGill's Early Music program. Comprised of twelve singers carefully selected from Vocal Performance majors, the ensemble concentrates on sixteenth and seventeenth-century repertoire. In addition to performing concerts of Renaissance and Baroque masterpieces, the cappella also revives and presents lesser-known works and performs regularly with the McGill Baroque Orchestra.